With a project to resurface the roadway and construct improvements along a 17-mi. stretch of State Route 88 (Apache Trail) complete east of the Valley, the keys to safety on this historic, winding roadway remain obeying the speed limit, staying alert and not driving impaired. But these important safety improvements are no substitute for safe driving along a roadway that, due to the area's topography, has always been designed for lower speeds. SR 88 is a historic roadway that travels in part within the Tonto National Forest. The Apache Trail's origin dates back more than 100 years as a route to transport materials, equipment and workers for construction of Roosevelt Dam. The completed project also installed new raised pavement markers, centerline rumble strips to warn drivers if their vehicle is drifting into an opposing lane, and new signs. Crews improved the ride along SR 88 by resurfacing the highway starting 3 mi. northeast of Apache Junction and extending to 7 mi. beyond Tortilla Flat. 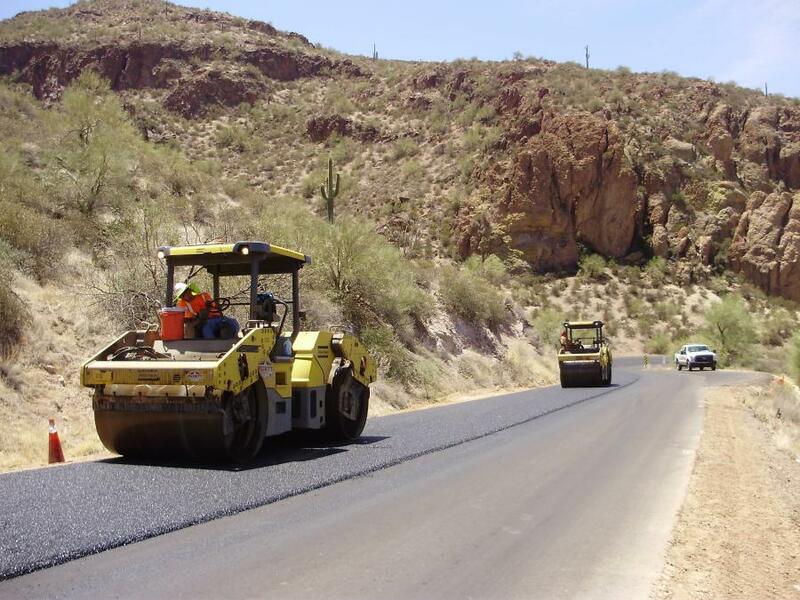 For more information about ADOT's state highway improvement projects visit azdot.gov/projects.